The BBC has once again shown itself to be unfit for purpose. There are so many reasons why it should be privatised, but here are two recent examples. On Friday the Beeb announced that in future Jonathan Ross’s Saturday morning radio show would be recorded. Although Ross has a big following, many find his reliance on smutty innuendo immature and quite distasteful. His ability to offend people just by opening his mouth reminds me of a certain member of the GLA. Poor little diddums!! He gets paid £6 million a year but doesn’t want to have to work for a couple of hours on the weekend. What a hard life he leads. On the same day as the Ross announcement, it was revealed that the BBC paid £17 million in bonuses to some staff whilst making others redundant amidst £400 million in budget cuts which will inevitably affect programming. It is simply astonishing that in the current financial climate, the BBC thinks it can justify making bonus payments of this level. In the private sector, many workers will be happy just to keep their jobs. But this is symptomatic of the malaise in the public sector where someone else is picking up the bill - in this case the licence fee payer. The Daily Telegraph has exposed the venal greed of many so called 'honourable' Members of Parliament whilst the Evening Standard has reported allegations that senior teachers at a top London School have awarded themselves illegal bonus payments. Where is the scrutiny that the public’s money is being spent wisely? Where is the accountability? The public are sickened at the way their hard earned money ends up lining the pockets of a few self serving parasites. 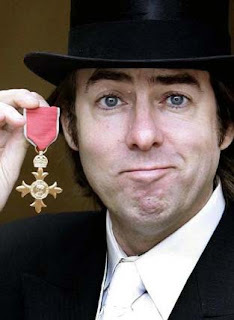 If the BBC wants to spend £6 million on Jonathan Ross, it should do so with its own money, not ours. We have to pay the licence fee whether we watch/listen to the BBC or not. It should be scrapped immediately and the Corporation privatised. Let it compete on equal footing with commercial broadcasters. If the quality of its output is good enough, it will survive and prosper. But it will also come to realise that it has been spending far too much money on unadulterated trash. If ITV made any decent programs I might agree with you. Commercial channels tend not to make the Life on Earth style documentaries, which are fantastic. I'd say that apart from sport, 50% of what I watch is on the BBC and the rest is American imports such as ER. If we killed the BBCit would be a crime. I can't see how privatisation is the answer. Surely it should just be made more responsive, and responsible. Roger is right, you need some investment of public money or you will get lowest common denominator programming ALL of the time, instead of just most of the time. I've got about 10,000 commercial stations on satellite, from all over the world, and they are all utter crap. The only channels that are worth watching have some public funding. There are some that have public funding that are utter crap as well: those that belong to unelected regimes! You're right about Jonathan Ross, though. The BBC does make great documentaries, but so does the Discovery Channel. National Geographic TV is brilliant! I don’t accept that only the public sector can make “quality” programming. In any event, who decides what is quality? I know a Member of the House of Lords who loves EastEnders! I don’t have a problem with paying for programmes that I want to watch, but don’t see why I should have to subsidise someone else’s viewing preferences.